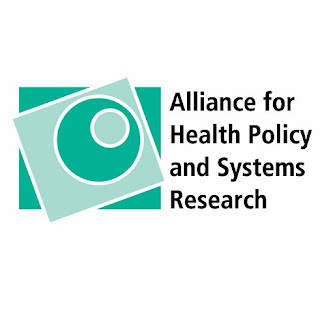 The Alliance for Health Policy and Systems Research was established in 1999 and is housed as an international partnership within the World Health Organization (WHO). 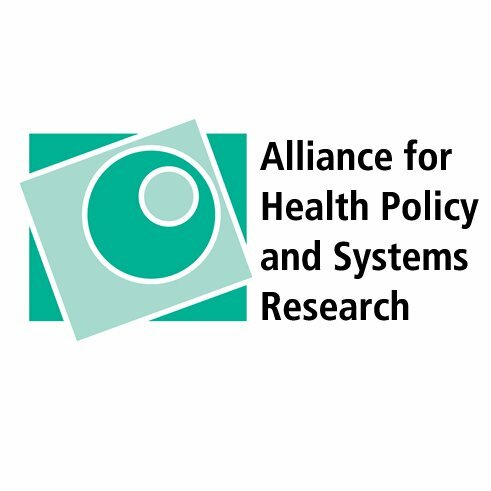 The mandate of the Alliance emerged from the recommendations of the 1996 WHO Ad Hoc Committee on Health Research, which recognized the role of health research in strengthening health policies and the overall development of health systems. The Alliance’s mission is to promote the generation and use of health policy and systems research as a means to strengthen the health systems in low- and middle income countries. 4. Increase the demand for and use of knowledge for strengthening health systems. Governance of the Alliance The Alliance Board is managed and governed by 9-10 members. The Alliance Board constitutes itself, elects its members and elects its Chair. The Board is convened and presided over by the Chair of the Alliance. It meets once a year in normal session. In addition, there are generally 1 to 2 audio conference calls in a year. Individual Members are selected for a three-year term, renewable once. (k) contribute to resource mobilization efforts on behalf of the Alliance. - demonstrated ability to generate and/or obtain funding from potential donors. The subject line should read “Application to serve on the Alliance Board.” The email should include a brief explanation on why s/he wants to serve on the Alliance Board, noting particular skills, knowledge and experience in the field of HPSR and their demonstrated ability to generate and/or obtain funding from potential donors. A short bio and/or curriculum Vitae (CV) should accompany the email. For more information, please contact Dr Abdul Ghaffar (ghaffara@who.int) or John Warriner (warrinerj@who.int) at the Alliance for Health Policy and Systems Research.